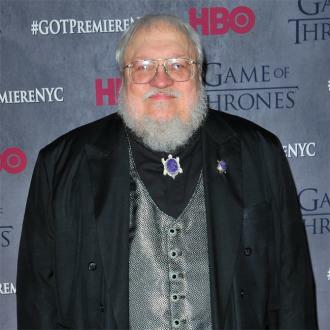 It has been more than four years since Martin's last Game of Thrones book, Dance of Dragons, was published and his The Winds of Winter is widely anticipated. It is uncertain when the novel will be published but it is estimated sometime between the end of this year and 2018. The excerpt concerns Sansa, now living under the name Alayne in the Eyrie, as she deals with the whining of her cousin Robin, Lord of the Eyrie. She is evidently feeling at home and beginning to get the hang of plotting with the help of Petyr Baelish A.K.A. Little Finger. Little Finger, in an attempt to protect her, is pretending to be her father and she is going under the name Alayne Stone. The name Stone is used to signify her illegitimacy. Romance is, once again, on Sansa's mind as she laments how her husband Tyrion is still alive and has managed to escape Cersei's numerous attempts to capture him. She's now hankering for Ser Harrold, Robin's rival to the title of Lord of the Eyrie. Encouraged by Little Finger, Sansa has to "Charm him. Entrance him. Bewitch him" at a dance held at the start of a jousting tournament. This is not the first sample chapter Martin has released as two excerpts, from the viewpoints of Arya Stark and Arianne Martell, over the past two years. 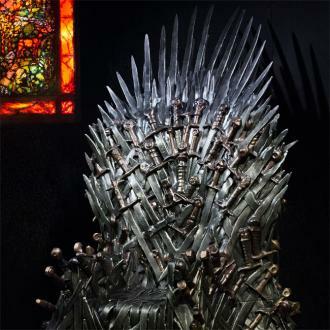 The premiere of Game of Thrones season 5 airs on Sky Atlantic on Monday 13th April at 9pm. 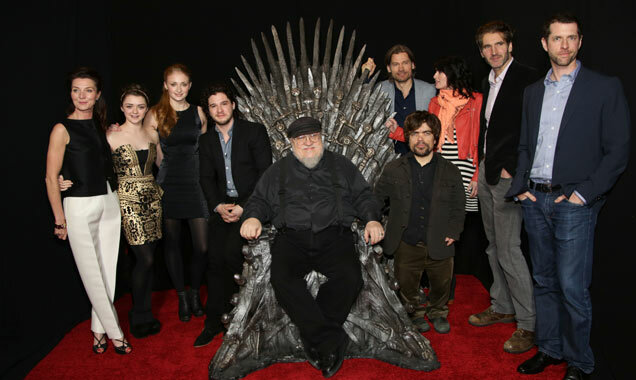 Read More: George R R Martin Discussed The Design Differences Between His Vision And Game Of Thrones.